Red eyes are quite common (please see the sub-conjunctival Hemorrhage page) and in the majority of cases are fairly innocuous. However, there are a few signs which you should be concerned about should they be present. If one or more of the above signs are present then you should seek our advice ASAP. 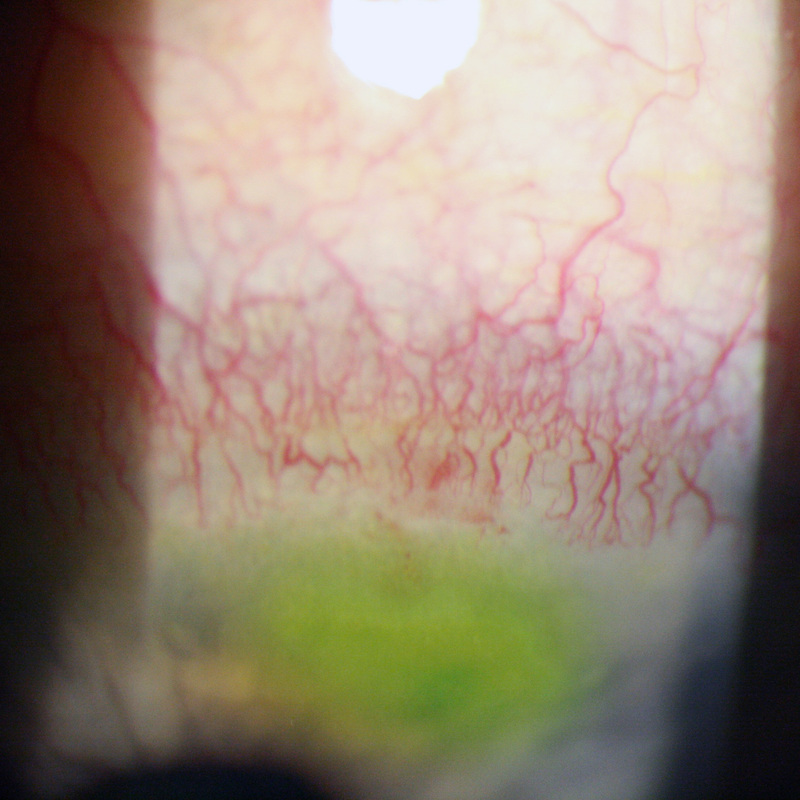 There are a number of conditions that could cause the eye to become red, however, the one condition that it is important to treat early is viral/microbial keratitis. 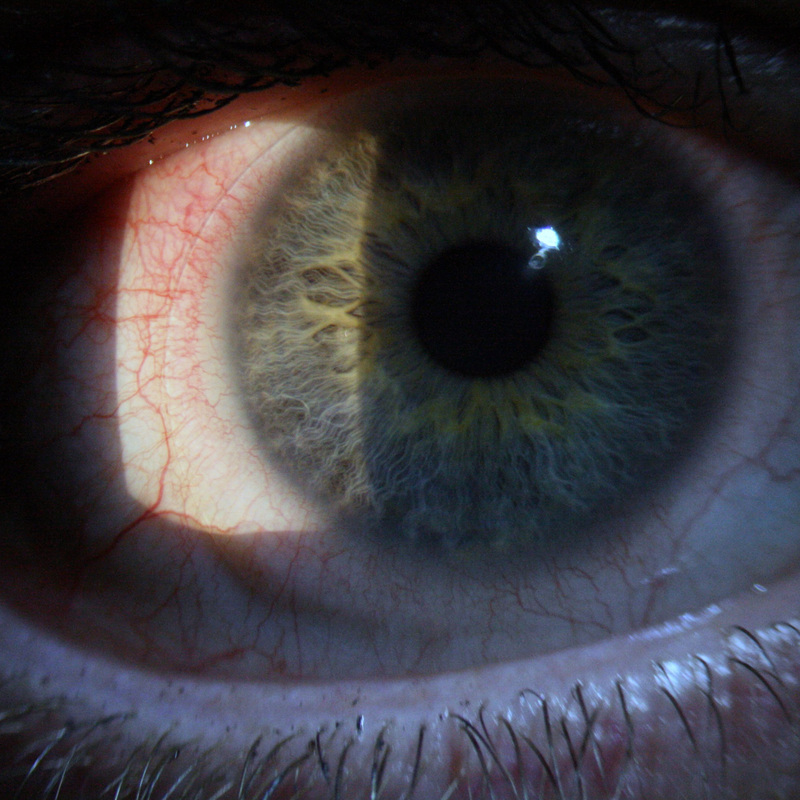 Keratitis is an inflammation/infection of the cornea and can lead to scarring which could, if affecting the central cornea, cause loss of sight. Therefore it is imperative that this condition is identified and treated effectively before it gets out of hand. 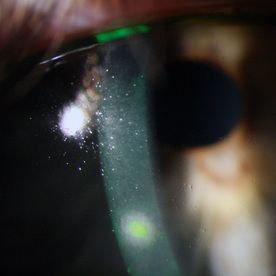 There are a number of different bugs that can cause a keratitis which present in slightly different ways although the common symptoms are those of localised redness (see top right picture) at the site of infection. Under a microscope the area of infection appears generally as a small white dot (although other bugs can cause different appearances) and stains with Fluorescien dye and as seen here in the above and bottom right pictures.